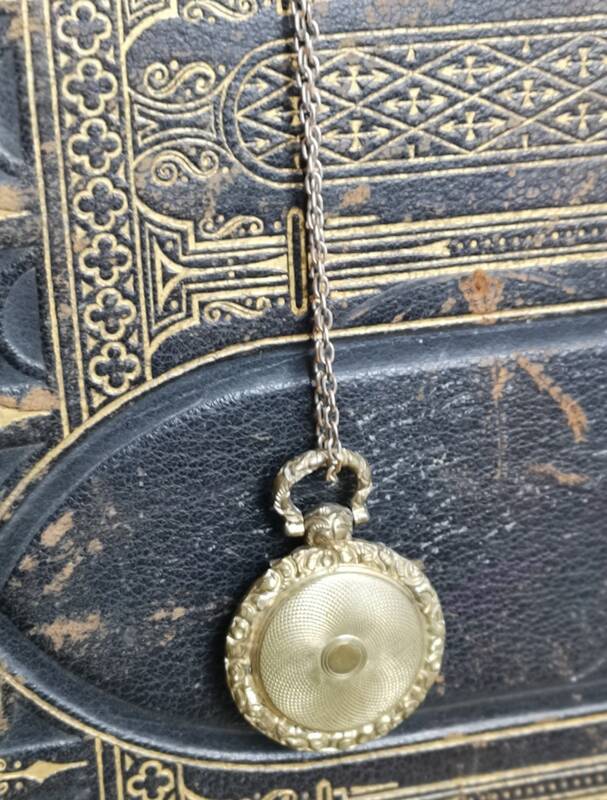 A beautiful late Georgian Pinchbeck locket. 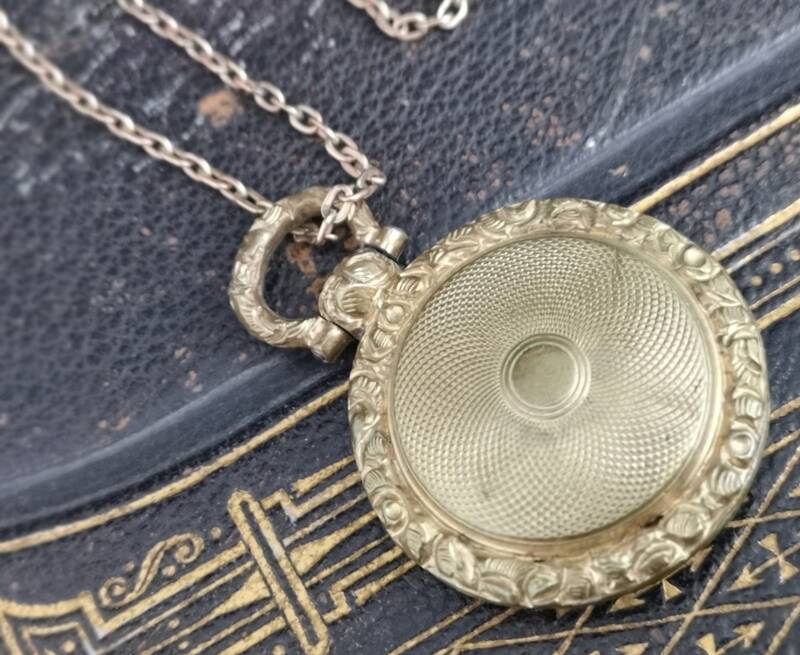 Very ornately engraved back and sides including the loop with a glass front. 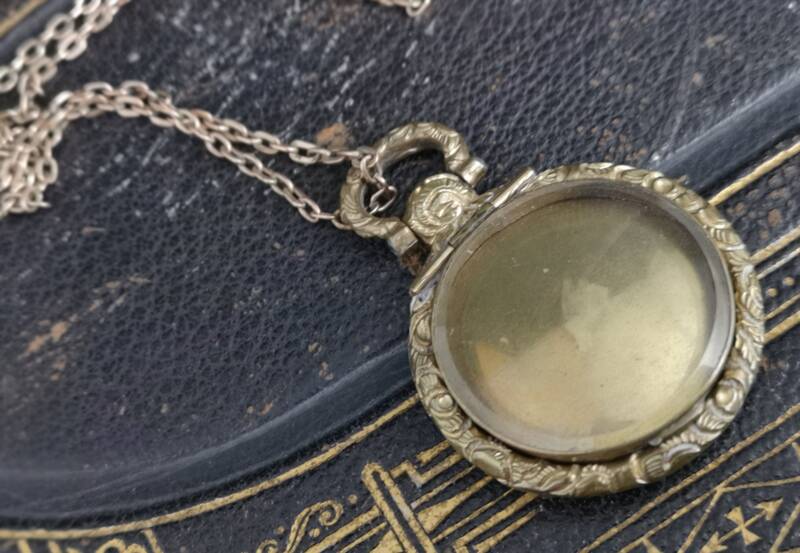 Would be ideal as a picture locket, mourning or even as a shaker. 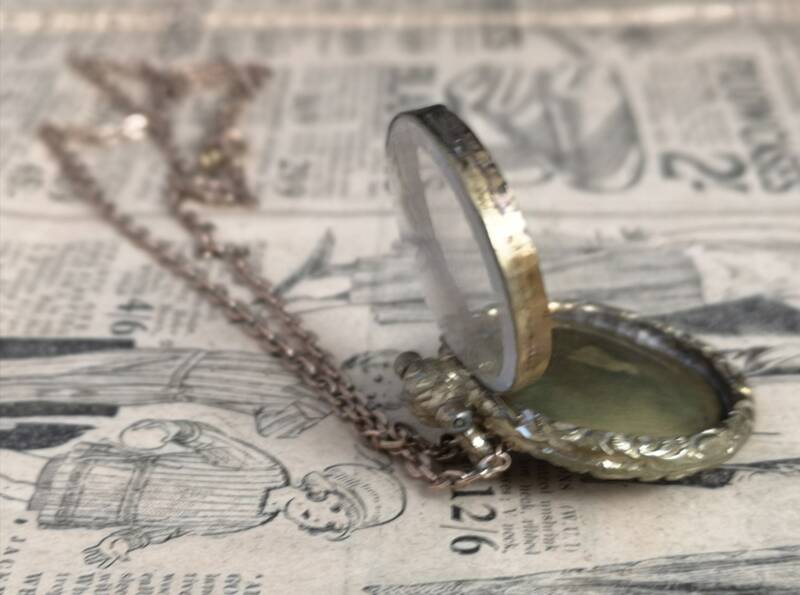 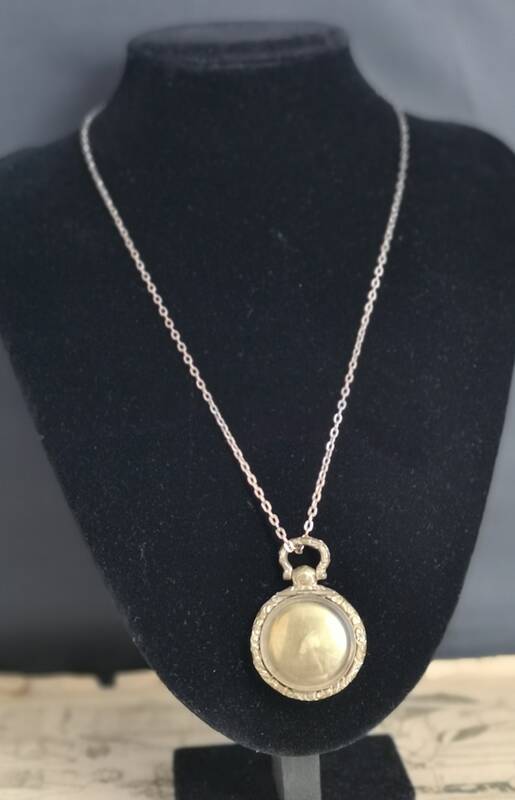 The glass front lifts so you can personalise this beauty however you wish, it is suspended on a 20" gold plated chain. 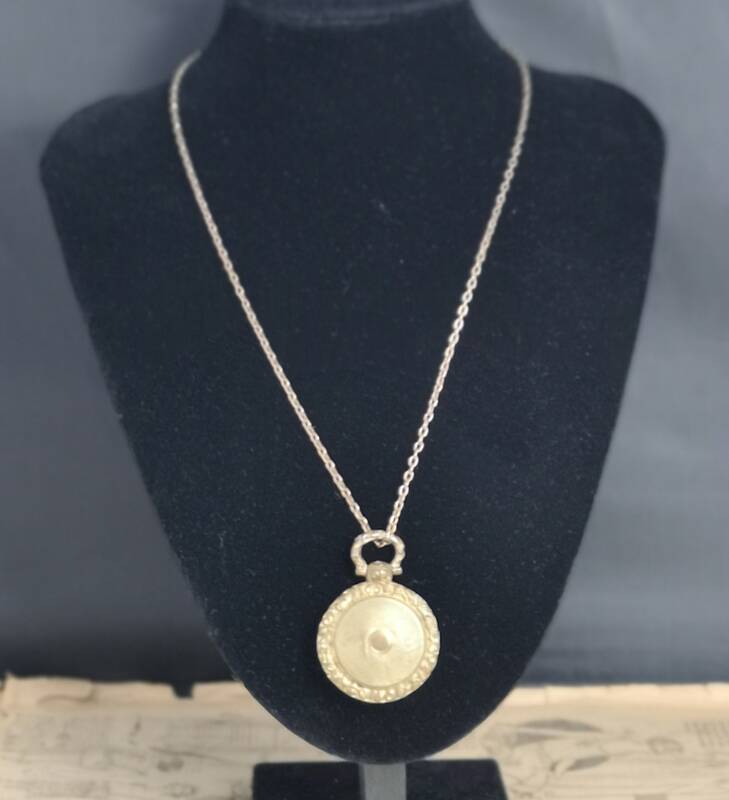 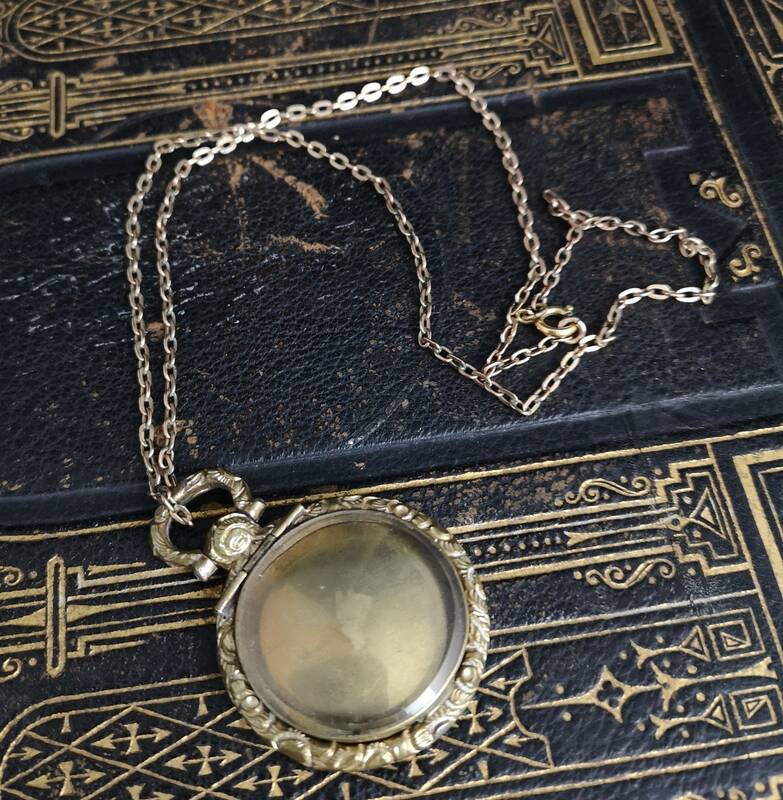 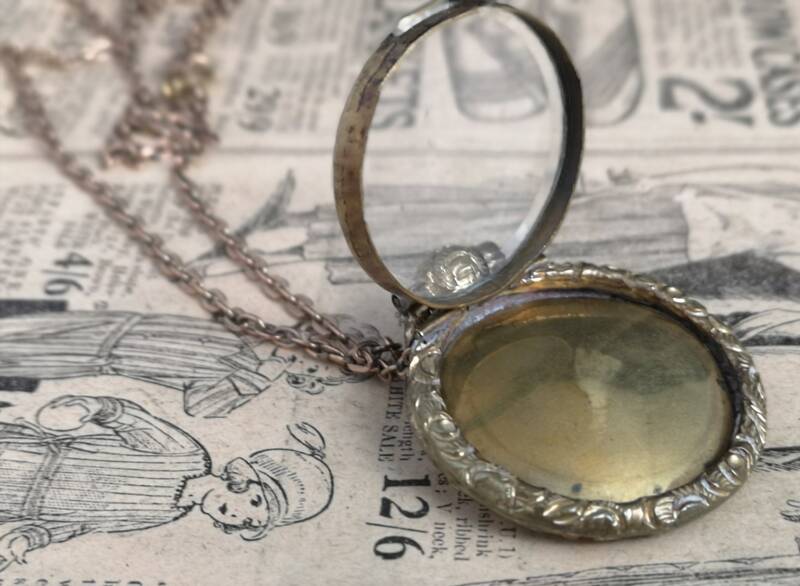 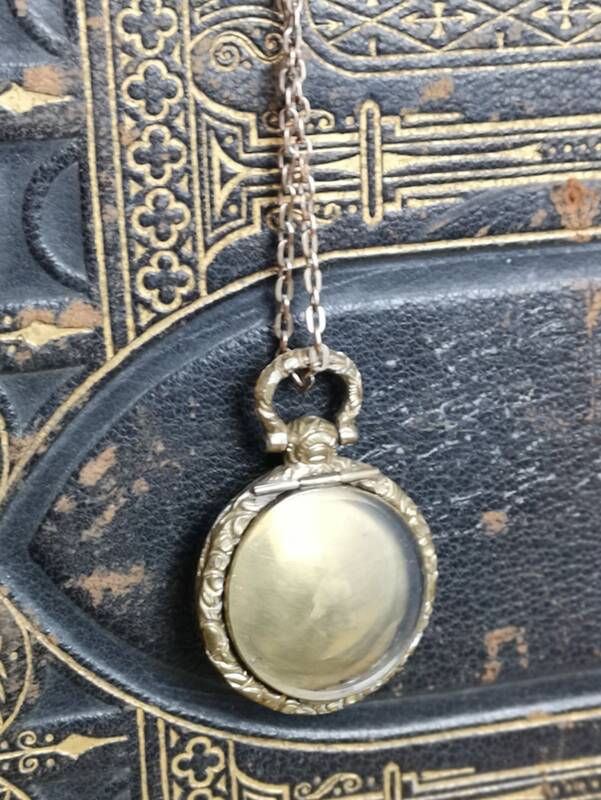 Nice substantial size,this Georgian locket pendant is overall in a good condition with some signs of wear on the Pinchbeck but nothing major for the age of the piece. 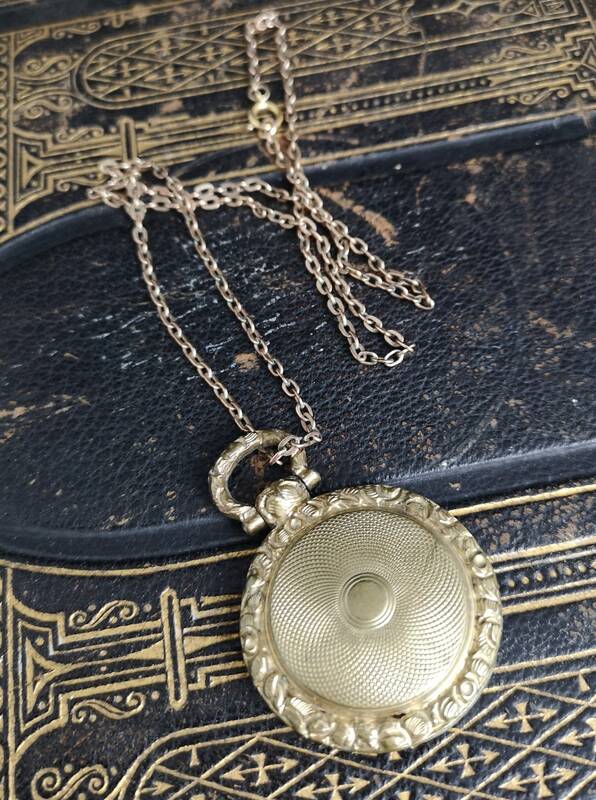 Approx 2" height of pendant with the loop, 1.5" width, 20" chain length.